I would like to learn more about this 2011 Cadillac CTS 3.0L Luxury. Please contact me as soon as possible! 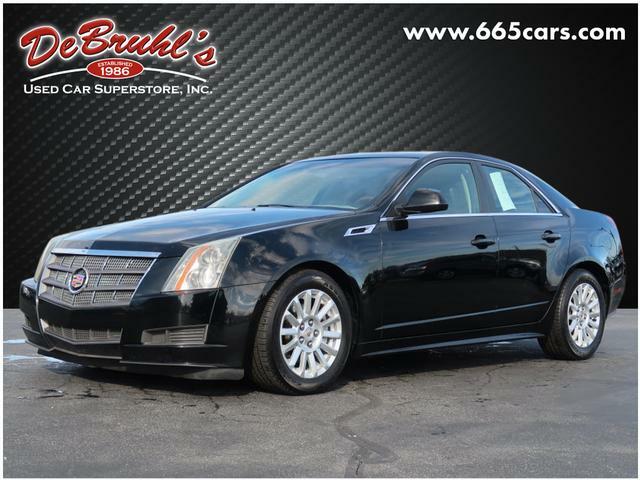 * TELESCOPING STEERING WHEEL * * 6 Cylinder engine * * GREAT DEAL AT $11,950 * * This 2011 Cadillac CTS 3.0L Luxury comes with Bose speakers for the best sound experience around * * 2011 ** Cadillac * * CTS * It comes with a 6 Cylinder engine. Exhibiting a beautiful black exterior and an ebony interior, this vehicle wont be on the market for long. This is the vehicle you have been waiting for! Call now to schedule a test drive! DeBruhls Used Car Superstore is the largest independent auto dealer in WNC! We offer a full range of financing with our guarantee credit approval, everyone is approved here.